Understanding the structural and dynamical properties of food networks is critical for food security and social welfare. Here, we analyze international trade networks corresponding to four solanaceous crops obtained using the Food and Agricultural Organization trade database using Moore-Shannon network reliability. We present a novel approach to identify important dynamics-induced clusters of highly-connected nodes in a directed weighted network. Our analysis shows that the structure and dynamics can greatly vary across commodities. However, a consistent pattern that we observe in these commodity-specific networks is that almost all clusters that are formed are between adjacent countries in regions where liberal bilateral trade relations exist. Our analysis of networks of different years shows that intensification of trade has led to increased size of clusters, which implies that the number of countries spared from the network effects of disruption is reducing. 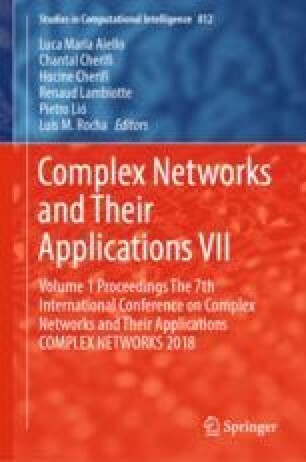 Finally, applying this method to the aggregate network obtained by combining the four networks reveals clusters very different from those found in the constituent networks. This work was supported in part by the United States Agency for International Development under the Cooperative Agreement NO. AID-OAA-L-15-00001 Feed the Future Innovation Lab for Integrated Pest Management, DTRA CNIMS Contract HDTRA1-11-D-0016-0001, NSF BIG DATA Grant IIS-1633028, NSF DIBBS Grant ACI-1443054, NIH Grant 1R01GM109718 and NSF NRT-DESE Grant DGE-154362.